After Larry Summers and Jamie Dimon stated that there is a shortage of long bonds (for use as collateral in derivatives and other markets), hedge fund managers and finance writers say you have to get rid of your bonds. The tantrum boys are back in force. The list includes the ever present king of tantrums, Alan Greenspan, as well as Paul Singer, Jonathan Garber from Business Insider, and a few others. Many of the bond tantrum boys, (BTB's), know not enough bonds are being generated, as there is not enough deficit spending being added, causing yields to decline over the past 30 years. You don't need to see the 10 year bond chart again. You know what it looks like. Clearly the BTB's want to buy treasury bonds, UST's, at the most favorable price, meaning when yields have spiked. This is why tantrumming has been so popular since 2013. While it is possible that slowing GDP is a way to get more bonds into circulation, surely that would be a very desperate way to produce the bonds. 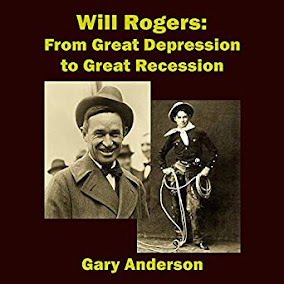 After all, the Fed is torn, give more IOR by raising rates, or get the counterparties their bonds by keeping rates, and hence, the economy, slow. The Fed is decidedly leaning toward neo-Fisherism, so you would think a slowing economy and low rates would be destructive to the plans of the Fed. You would think. But I digress. 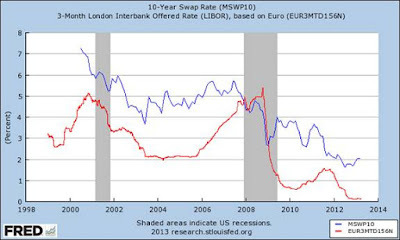 So, you wonder why Greenspan does it. Like the song says, nobody does it better. He, after all, created the atmosphere of structured finance for bond hoarding. Maybe it is his conscience. Or, if he doesn't have one, maybe he has investors willing to pay for tantrum behavior. There could be a third, more benign reason for why he wants to tantrum, but I certainly don't know what it is. Perhaps he would share his reasons someday. ...Does Alan Greenspan have no faith in the system he created? Is he getting nervous? Yes, he says he is. If he is opposed the very system he created, you wonder why he created it in the first place! Jonathan Garber, Markets editor for Business Insider say foreign buyers have left the UST market. He says also there will be a glut of corporate bonds hitting in September. I suppose if you are a day trader this could be helpful info, but it is still tantrumming to me, in my opinion. While the team says a September hike is unlikely, it believes such an event would cause the front end of the curve to rally another 15 to 20 basis points with the long end "rising by a similar amount to be less than or equal to the front-end sell-off." Wow, that is reassuring to the tantrum followers, not! And on top of that, Garber says in an article published on September 9th, that UST's were getting crushed. That lasted a day. 3. 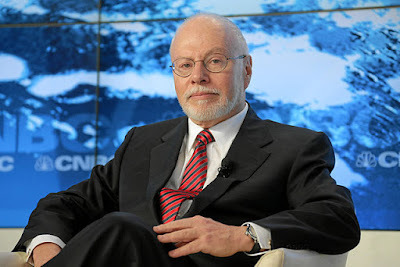 Billionaire Paul Singer Warns of the Biggest Bubble in the World. I think owning medium to long-term G-7 fixed income is a really bad idea. By removing these things that are bad ideas, that’s a helpful think. Sell your 30-year bonds. That article was published in 2015, but surely, he would welcome collateral being used in the clearing houses. After all, he worries about uncleared derivatives. One would think he would be hoarding bonds to play in the cleared derivatives markets, established mainly by clearinghouses that monitor collateral fairness. It doesn't add up that Singer thinks bonds are overpriced, with yields too low, unless he wants more of them at a bargain. That appears to be tantrumming. Any other explanation is not apparent to me based on his desire to see more derivatives trading backed by collateral! So, there are more BTB's, mostly from hedge funds. Watch for them in the news. When you see them come out with more articles and warnings, know that the process at work is just Wall Street trying to gain an advantage in a bond starved world. It is the bond world's version of pump and dump, made famous to the average investor by Jim Cramer. It is more like dump now and dump later, but you get the idea. I hope everyone would take the time to read this amazing article from John Mauldin, entitled Monetary Mountain Madness.